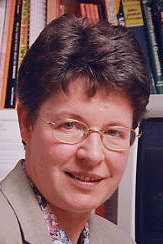 The Australian Society for Medical Research is about to launch the 2009 Medical Research Week®, running from May 29 – June 5 2009. National Tour by the ASMR Medalllist (Professor Josef Penninger), Annual Scientific Meeting, Gala Dinner, Schools and Careers Events, Public Outreach, Awards and Prizes. Also, the ASMR MRW® 2009 Quiz is now open! Suitable for high school-aged students (or anyone interested in medical science), there are prizes up for grabs for entering! Start the Quiz. 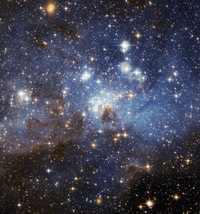 Discussion about the Large Megellanic Cloud, a galaxy close to our own galaxy (the Milky Way), which is rich in gas and dust, and is home to the Tarantula Nebula, the most active star-forming region in the Local Group of galaxies. Pulsars form as these stars explode and die, leaving only their super-compressed cores comprised mainly of neutrons. Pulsars are highly magnetised, rotating neutron stars. 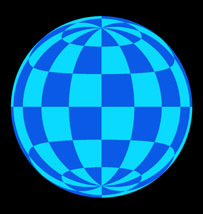 Due to their phenomenal mass, gravitational effects are exerted upon visible light, meaning the view from the surface of a neutron star would extend beyond the horizon! 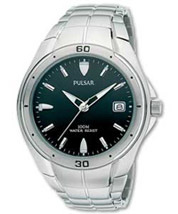 The story of a lawsuit filed by the Pulsar watch company against radio astronomers for using the term “pulsar” in relation to their work. Their case was unsuccessful. Why study Science? What kind of job will a degree in the Sciences lead to? 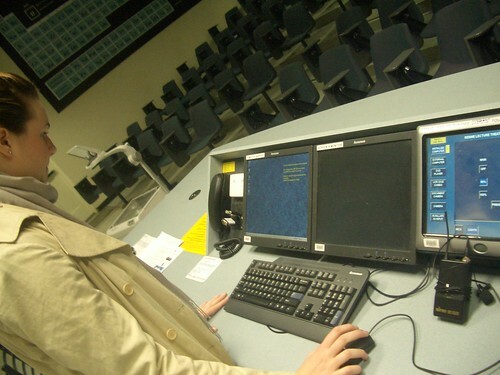 Dr Melanie Bagg’s seminar provides insight as to why it is an exciting time for students to study the Sciences, and highlights the diverse career paths that our graduates pursue. Registration for the 2008 Maths Science Life Impact event is now available. We are structuring the event a little differently this year. The event will be held from Tuesday 18 November to Thursday 20 November. Schools will be invited to nominate up to 10 of their year 9 students to attend either a morning or afternoon session on one of these days. The sessions will consist of hands-on activities and experiments designed to enthuse students and encourage them to continue with their Maths and Science subjects. What are you doing on Sunday August 17, 10am-4pm??? 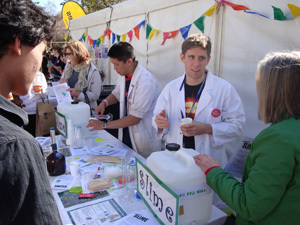 Well, the University of Adelaide has it’s annual Open Day! The North Tce campus will come alive, and we want everyone to come to the Sciences Marquee to see all the exciting and fabulous activities, tours and talks on offer. 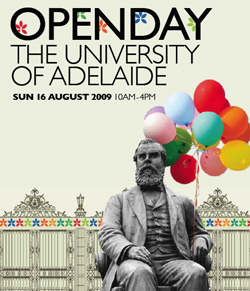 Open Day is an ideal opportunity for future students to come along and see what it is like to study at the University of Adelaide, as well as a chance for members of the public to come and chat to academics and students about all the research and teaching available. 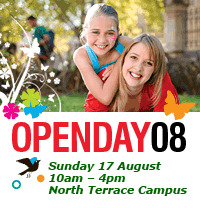 For more information, check out the Open Day website! We hope to see you there!! The National Youth Science Forum visited Adelaide Uni to expose some exited yound students to the new Animal and Plant science courses today. Mike and I recorded these presentations for everyone to hear – our first attempt to capture these talks for worldwide-exposure!! The Rennie theatre is equipped with built in recording facilities. All we had to do was locate the bits and pieces, fire up the lapel mike and get ready to record! This was easy once we ‘d logged onto the computer and opened the media recording software. We’re exited to report there are already some photos of this event, and will shortly be posting the audio files too.